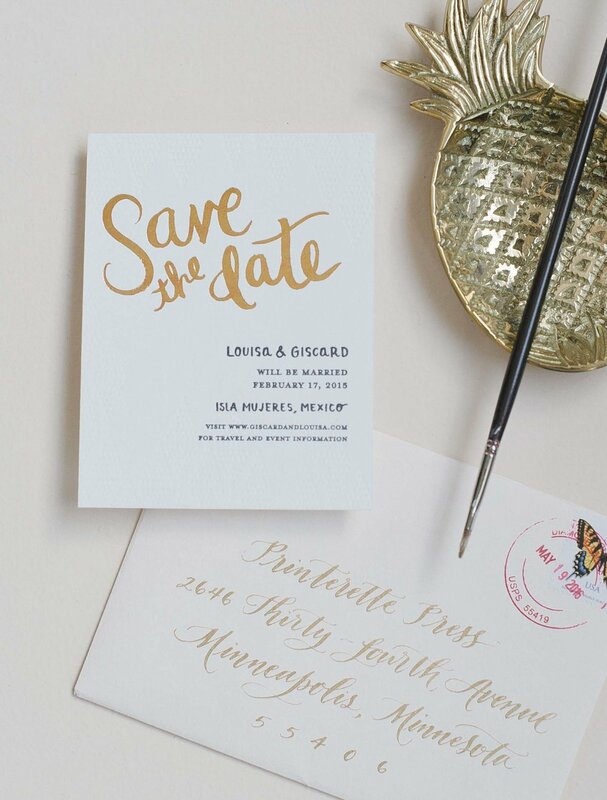 We just love the rose gold foil on this Save the Date! 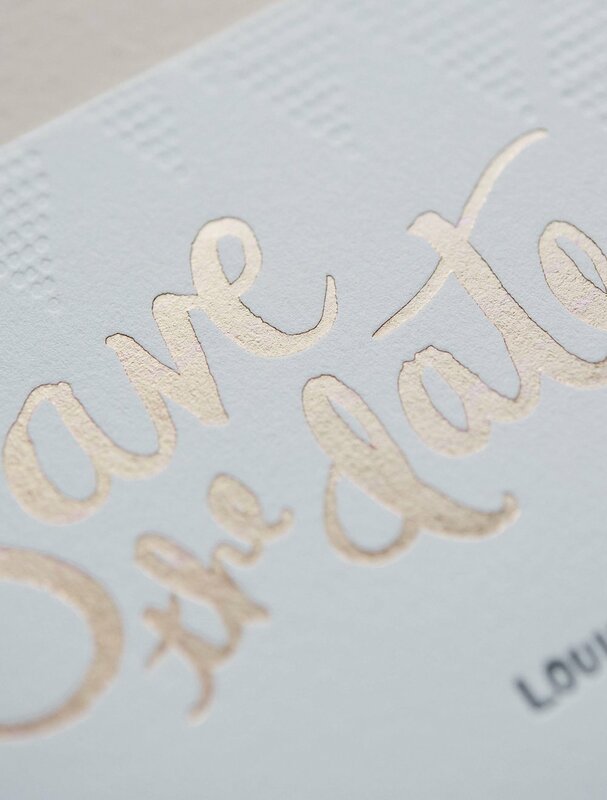 The hand lettering and textured de-bossed pattern were carried through to the rest of the invitation suite. You can see all the pieces right here.